Shotguns are used for home defense on a regular basis, and if you want to supply your shotgun with truly compelling ammunition, you want slugs like these from Winchester. When loaded with the right shell, your shotgun is capable of wreaking some serious havoc. It can blast through drywall, cut targets in half – literally – and blow the lock off a door. Law enforcement officers even use them to land crippling blows to vehicles. 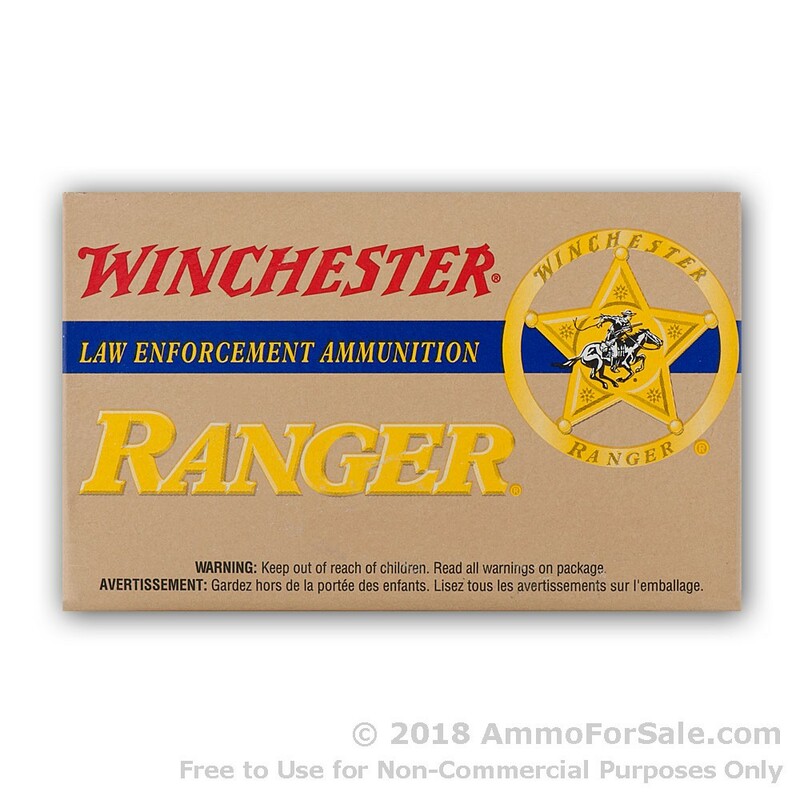 That’s why Winchester Ranger slugs exist; they’re from the esteemed company’s law enforcement line. 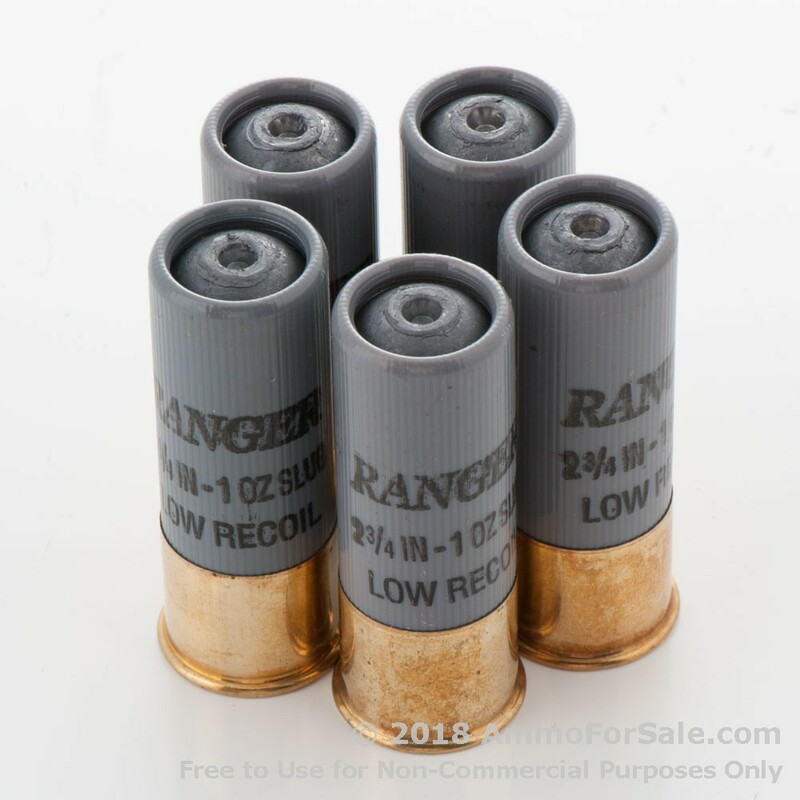 These shells are loaded with brawny 1 ounce rifled slugs. 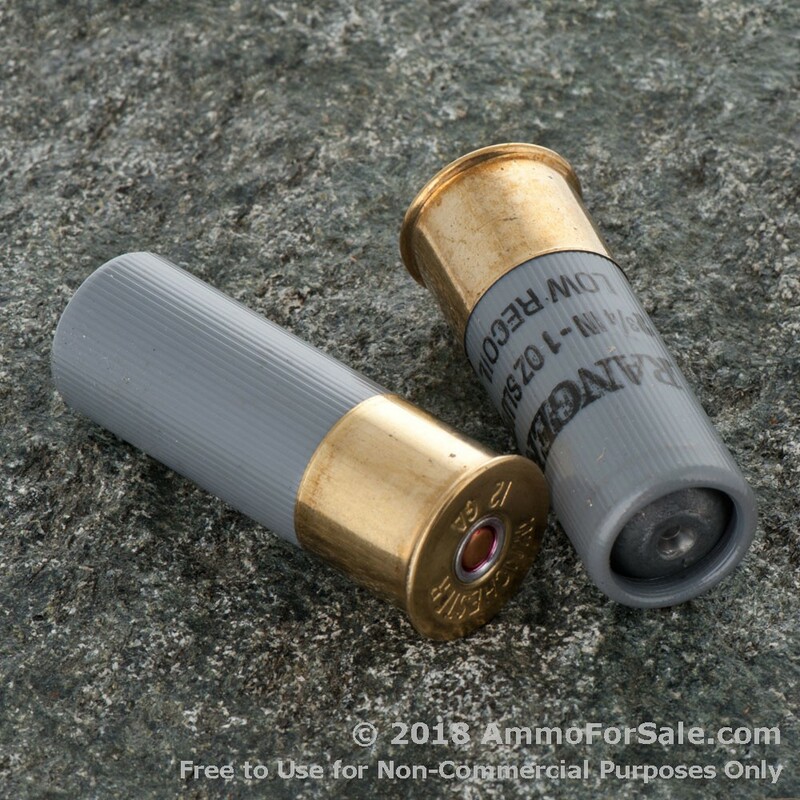 When you load your 12 gauge with these slugs there won’t be any doubt your target will be pretty much annihilated. 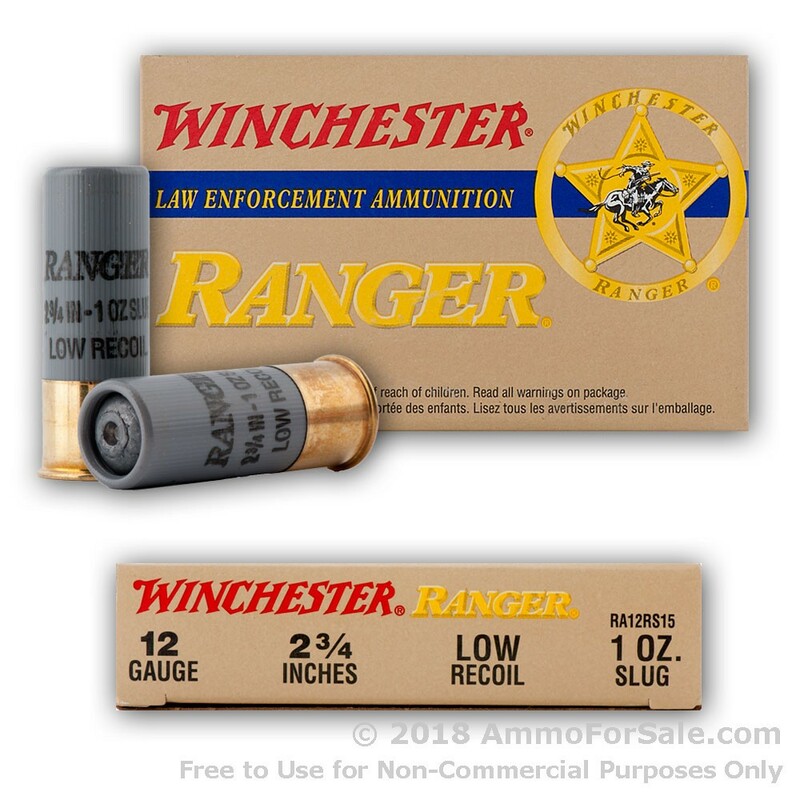 They’re 2 ¾” long and have an added feature – Winchester designs them to be low-recoil. That means you can destroy pumpkins or hunt to your heart’s content with far less fatigue to your shoulder. 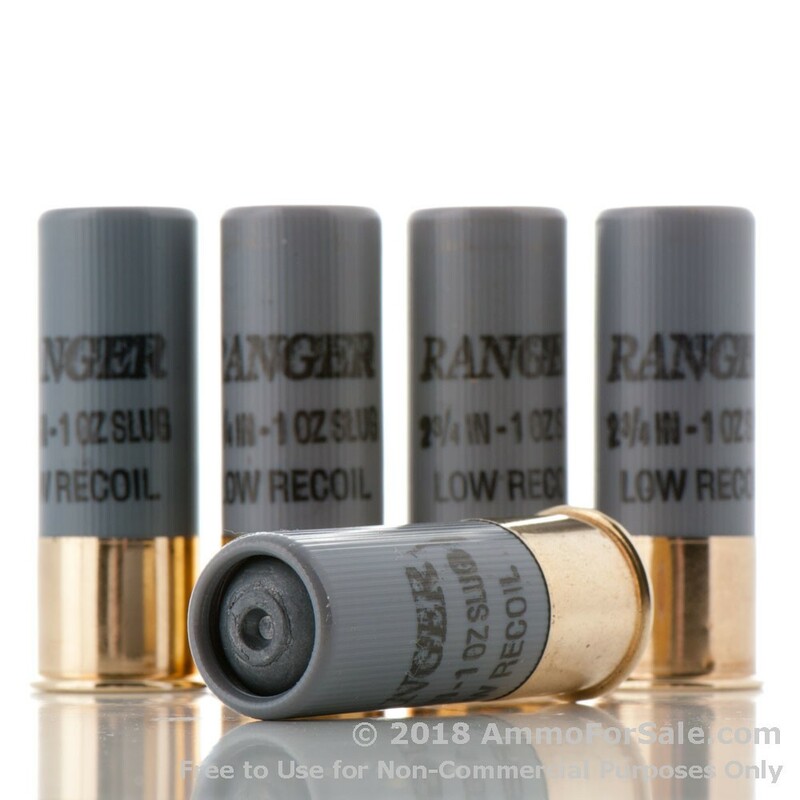 Avid shooters have successfully used these slugs for deer and wild boar, among other game; it’s a versatile round, covering the bases from home defense to target practice to hunting. 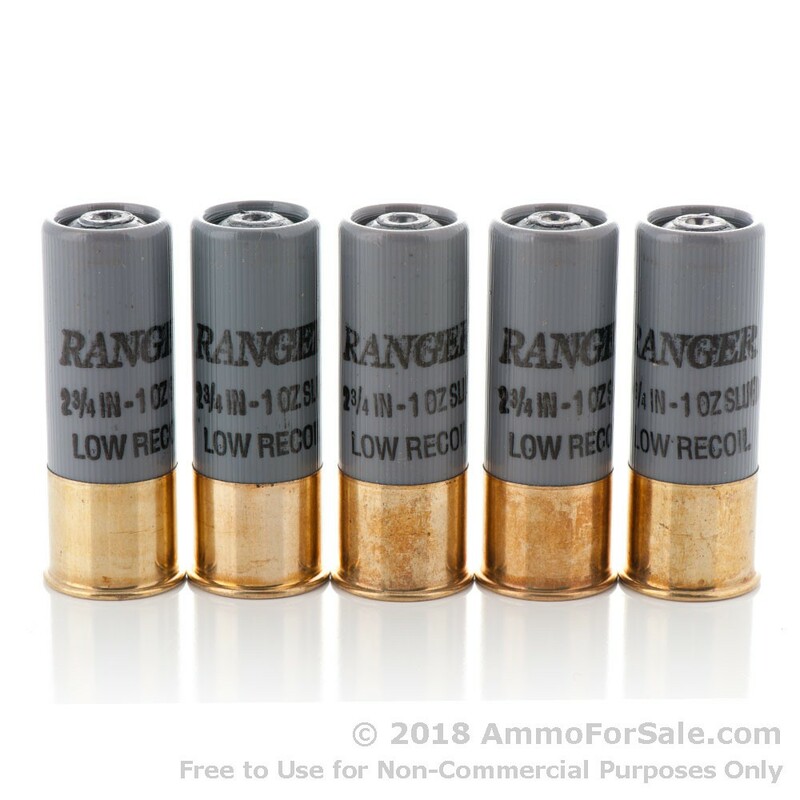 Each shell has a muzzle velocity of 1200 feet per second. 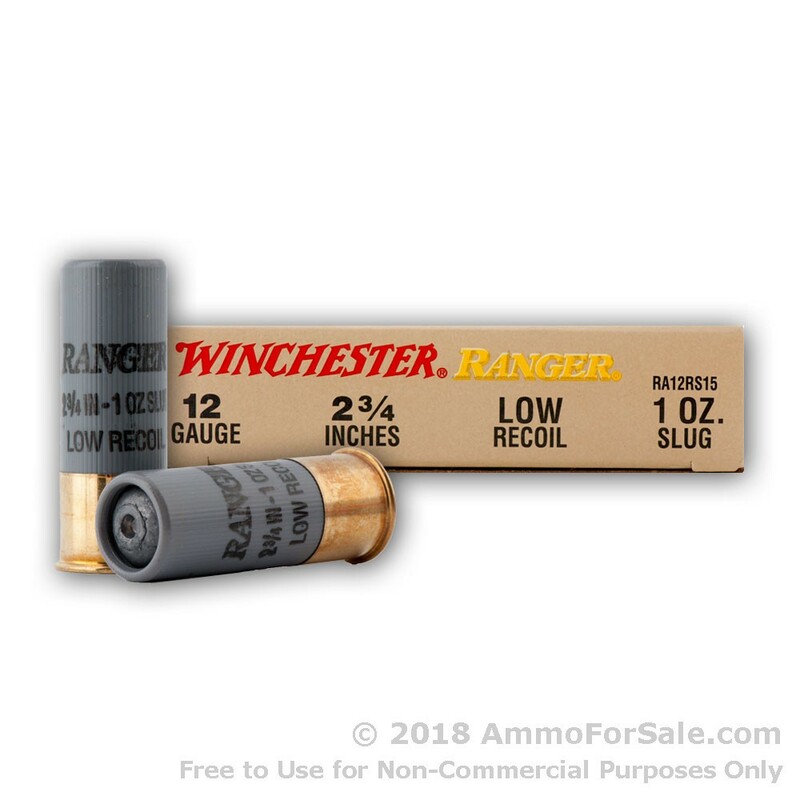 Winchester has a solid reputation for manufacturing high-quality ammunition, and these rifled slugs prove that reputation is well-deserved. Of course, when you have more than 150 years of experience going into the creation of a round, excellence becomes a way of life. 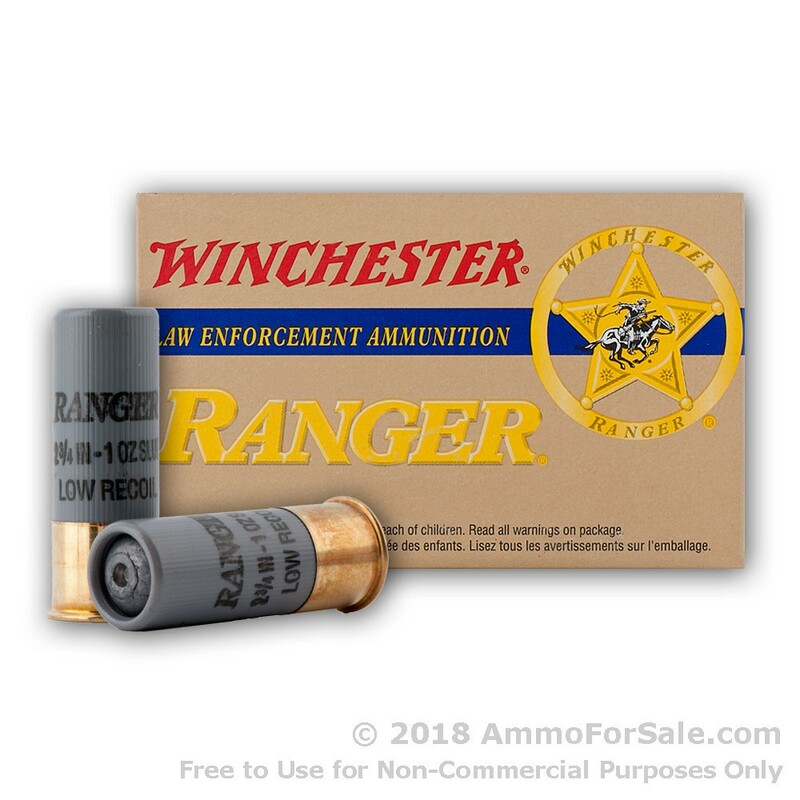 All of Winchester’s ammunition is manufactured in America. 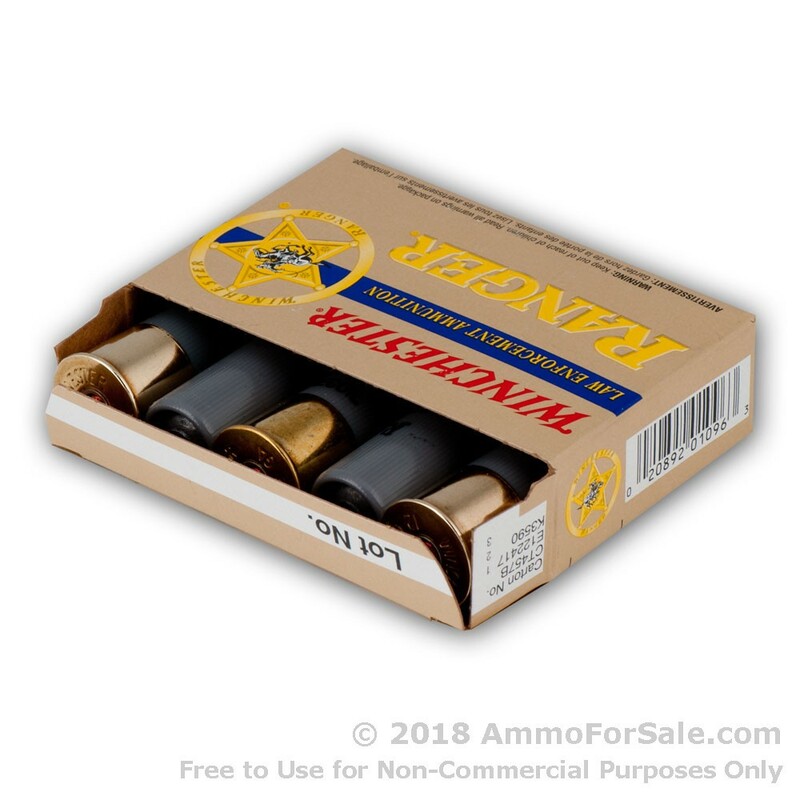 You only get 5 slugs in this box, and although that’s a great size for carrying in your pocket or dropping in your range bag, you’re going to want more than that. 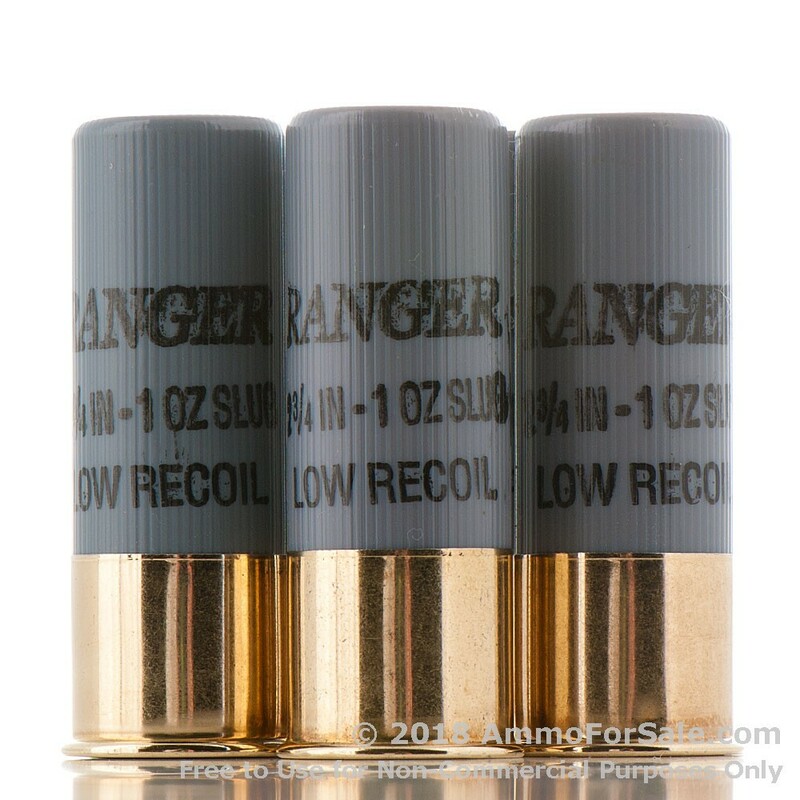 These shells cycle dependably and meet your target with ferocity. Don’t skimp on quantity; place an order – a big one – and feed your shotgun.